In 2013, the Green Talents Award was given for the fifth time under the patronage of the Federal Minister of Education and Research to members of the next generation of leading scientists in the field of sustainable development. 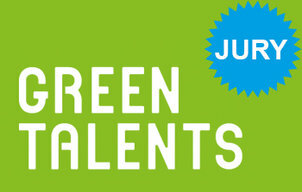 A high-ranking jury of experts selected 25 ‘green’ visionaries from over 430 applicants from 80 countries as Green Talents 2013. Their prize included a two-week Science Forum during which the awardees visited top locations in sustainability research in Germany. 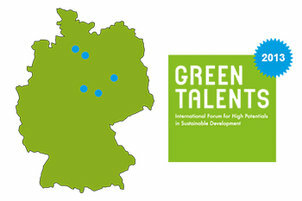 Here, the Green Talents gained a deeper insight into the country’s innovation system, learned about state-of-the-art approaches and technologies, and exchanged ideas with leading experts in individual meetings. 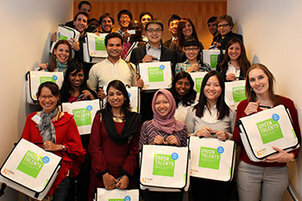 They furthermore participated in a networking event with Green Talents alumni from previous competitions. On 8 November 2013, the Science Forum culminated in an award ceremony during which Mr Wilfried Kraus, Deputy Director General of the BMBF directorate for Sustainability, Climate and Energy, honoured the young scientists. The ceremony took place in the presence of representatives of the participating institutions, jury members and other distinguished guests in the BMBF’s historic Gartenhaus in Berlin. The Green Talents Forum 2013 took place between October 27th and November 10th, 2013. Learn more about the institutions and companies that were visited as well as about further events we attended. more: Science Forum 2013.